All the three were part of Wales' victorious Grand Slam campaign in the recently concluded Six Nations tournament and were also products of the Scarlets Academy. The trio also enjoyed Pro12 title with the Llanelli based outfit during the 2016/17 season. 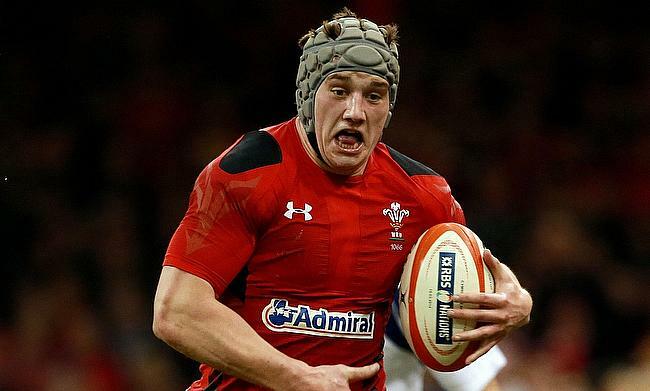 Davies has been part of the Scarlets side since 2006 and moved to Clermont Auvergne in 2014 before rejoining the Welsh regional side in 2016. "I am excited about the end of the season and, having spoken to our new coach Brad, excited about what is to come. "It is something I want to be part of"
Owens has racked up 238 appearances for Scarlets after being part of them since 2006 while Evans made his debut for the club in 2013. "I am delighted to have signed an extension to my contract," said Owens. "I am looking forward to a big end of season and building on the success we have achieved in recent years." Scarlets head coach Wayne Pivac, who is set to take in charge of the Wales post-2019 World Cup said that the incoming coach Brad Mooar expressed interest in retaining the services of the trio. "They have been a big part of our success in recent years and I know that our incoming coach Brad was very keen to secure their services moving forward," he said.